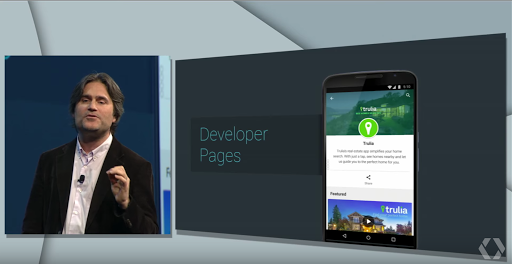 One of the things announced during Google I/O 2015 was Developer Pages for Android developers who have apps published on Google Play. 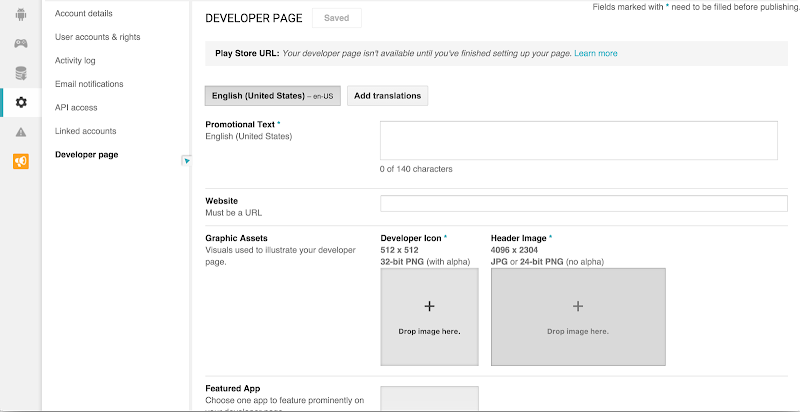 A Developer Page helps promote your brand and apps on Google Play. Instead of the normal list of apps made by a developer, you can now create your branded page with your featured app and other apps. You should have at least one app to create a developer page. Click the Gear Icon (Settings) on the left. It may take up to one hour for the Developer Page URL to be valid for preview and up to 24 hours for it to be displayed to Google Play users. To update your developer page, simply follow the steps in creating one. It may take up to one hour for the changes to be published. If you wanted to delete the developer page that you have made, go to the Google Play Developer Console, click Settings gear icon, click Developer page and then click the Delete page button in the bottom of the site. 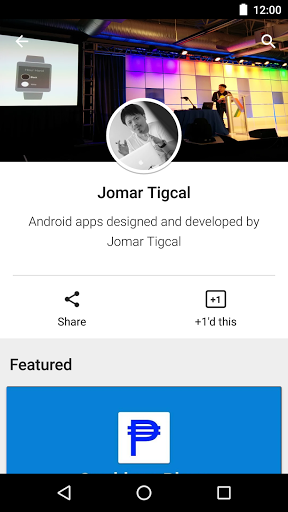 A lot of Android developers have already made their Developer Pages. 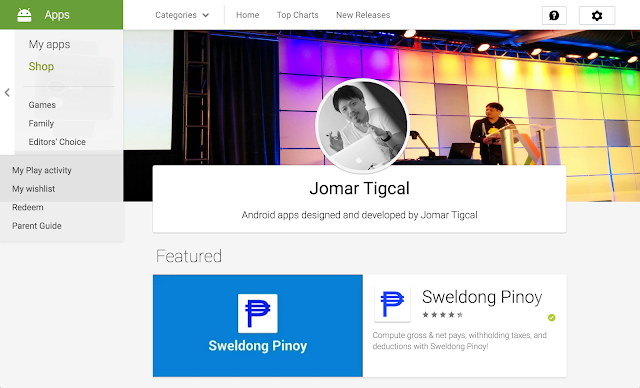 You can check Google's developer page here. I have also made my own developer page. It's still a work in progress. If you have comments or suggestions, please let me know!